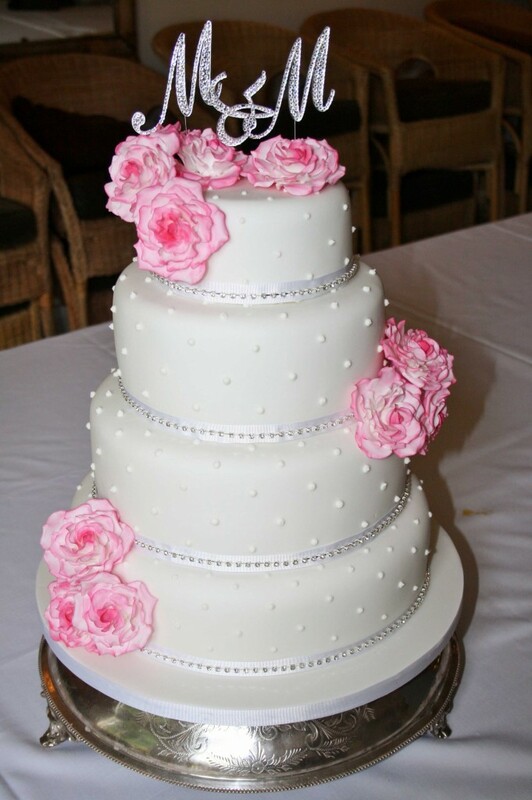 Four tier wedding cake at Powdermills Hotel, Battle, East Sussex. 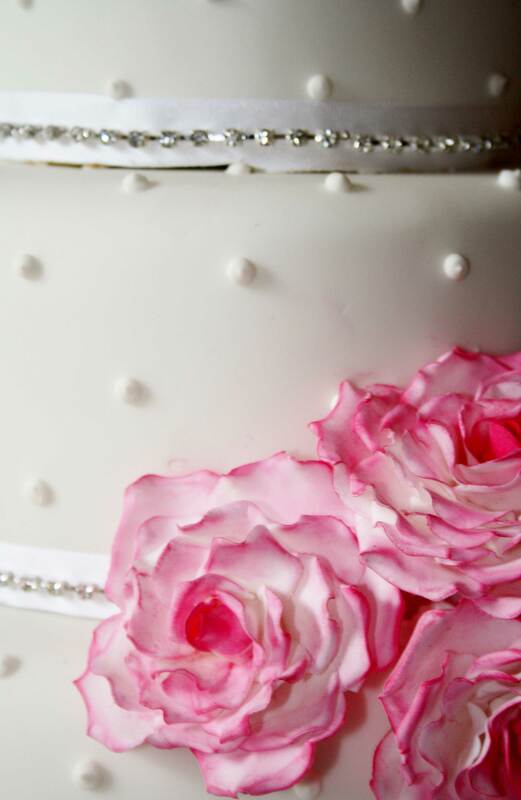 Iced white with wired sugar roses to match bridal flowers, finished with piped dot detail and grosgrain ribboning with diamante strands. Cake serves 180 finger portions.